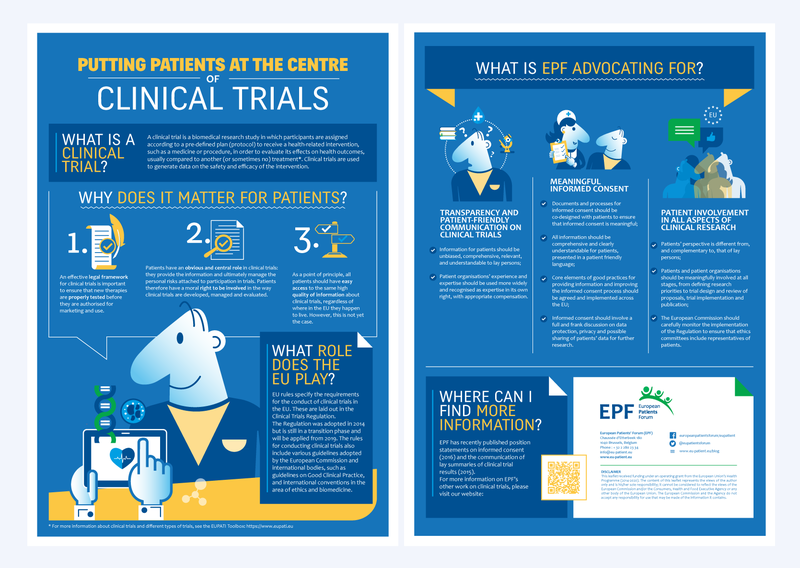 Together with the European Patients’ Forum (EPF) we launched a communication campaign to introduce clinical trials and explain the important role played by patients. The message was directed to policy-makers. The objective was to develop a story that explains in clear and simple messages the “what and why” of clinical trials and how important is to have the patients involved in this process. Visually, we created an infographic that uses customised illustrations to show the experience of patients and clinical trials.